According to the Manhattan District Attorney's Office, the lead detective in the Harvey Weinstein sexual assault investigation acted inappropriately. The detective not only coached witnesses on what to say but instructed them to delete text messages before handing their phones over to prosecutors, WABC-TV reported. The DA's office sent Weinstein attorney Benjamin Brafman a letter on Tuesday saying it had been contacted last week by an attorney for "Complainant 2," who is the complaining witness behind three counts in the case against Weinstein. According to the letter, the witness told the DA's office that she had expressed concern about turning over phones to prosecutors because they contained personal information. Det. Nicholas DiGaudio, prosecutors said, then allegedly told the witness to "delete anything she did not want anyone to see" before turning over the phones. The witness also told prosecutors that the detective said they would conceal the deletions from the DA's office. Prosecutors said the woman turned her phone over without deleting any information and completely intact. The Detectives' Endowment Association, who is representing the detective in question, Nicholas DiGaudio, chided the DA's office. "The Manhattan DA's office needs to enter the 21st century. This is the age of technology. People keep loads of personal info on their phones that they prefer remains confidential," DEA President Michael Palladino said in a statement. "A woman should not have to surrender confidential intimate information that's immaterial to the case to defend herself against a sexual predator," he continued. "That's being victimized twice. Detective DiGaudio was sensitive to that." 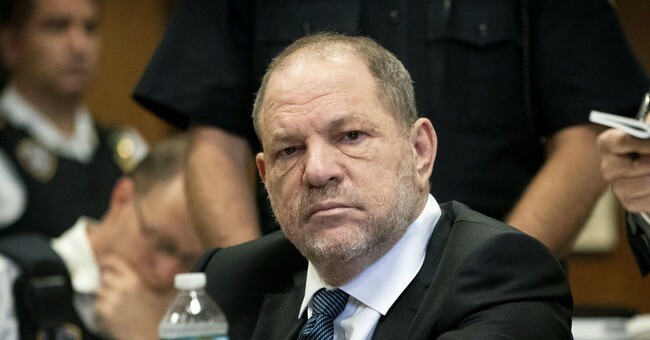 According to the Washington Post, New York Police Department Commissioner Deputy Commissioner Phil Walzak said the case against Weinstein remains strong. "The evidence against Mr. Weinstein is compelling and strong. The NYPD will continue its work with the prosecution to deliver justice for the courageous survivors who have bravely come forward," Walzak said. The movie executive is accused of sexually assaulting one woman in 2016 and another in 2006, NBC News reported. He's facing a five-count indictment.